​AC Milan welcome lowly Cagliari on Sunday at the Giuseppe Meazza, looking to maintain pressure on the top four in Serie A. Sitting two points off Lazio in fifth, who overcame Empoli on Thursday, Gennaro Gattuso's side come into this fixture off the back of two successive draws, including a respectable point at Roma last time out. In contrast, 15th place Cagliari sit just four points above the bottom three after going four games without a win - their latest setback being a home loss to Atalanta on matchday 22. With both sides battling at opposite ends of the division, maximum points could prove vital come May. Here's 90min's breakdown of this clash. Christian Zapata and Pepe Reina picked up recent knocks to add to ​Milan's growing injury list, whilst midfielder Giacomo Bonaventura remains a long term absentee after undergoing knee surgery. Mattia Caldara and Lucas Biglia are expected to return later this month following four month absences, whilst new recruit Krzysztof Piatek is set to start after scoring in his first two starts for the club. Cagliari manager Rolando Maran has been a dealt an injury blow, with midfielder Valter Birsa set to be sidelined until March. Lucas Castro is their only long term absentee having sustained a cruciate ligament injury. ​AC Milan ​Donnarumma; Calabria, Musacchio, Romagnoli, Rodriguez; Kessie, Bakayoko, Paqueta; Suso, Calhanoglu, Piatek. ​Cagliari ​Cragno; Pisacane, Ceppitelli, Romagna, Padoin; Farago, Cigarini, Deiola; Pedro, Pavoletti. In 39 encounters between the sides, the Rossoneri won on 24 occasions, compared to Rossoblu's four and 11 draws. They shared the spoils in the corresponding fixture back in September, as former striker ​​Gonzalo Higuain ​cancelled out Joao Pedro's fifth minute opener at the Sardegna Arena. Although the Italian giants have lost just once in their last 10 league fixtures, they've won just three in this period, in what's been another largely inconsistent campaign. 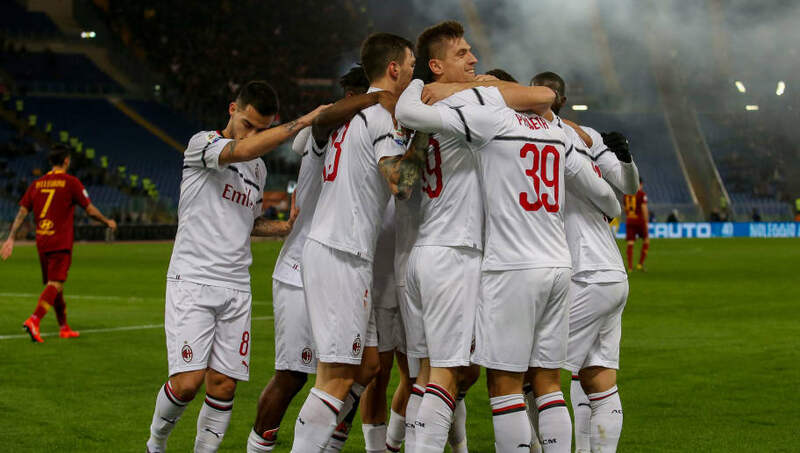 Gattuso's outfit were disappointingly knocked out of the Europa League earlier on, but recently booked themselves in the Coppa Italia semi-finals to remain on course for a first piece of silverware in seven years. One positive is the form of Piatek, who netted in that Roma draw for his 14th goal in Italy's top flight, following his £30m move from Genoa in January. Finishing 16th last term, Maran's outfit have found life in Serie a struggle once more, winning just four games so far. They play two of the bottom three sides in forthcoming weeks, but also face ​Inter and ​Juventus in their next seven fixtures as they look to stave off relegation fears. If Milan want to finish in the Champions League places, they must pick up maximum points against the lesser teams in this division. There's no better opposition to face as Cagliari are poor travellers, losing seven of their 11 league games already this term. With the Rossoneri keeping three clean sheets in their last five games in all competitions, their visitors could find it tough to break down a stubborn back line.